This draping pullover invites a second look. Its artfully arranged embroidery on the shoulder and upper poet sleeve areas in floral geometric bands. 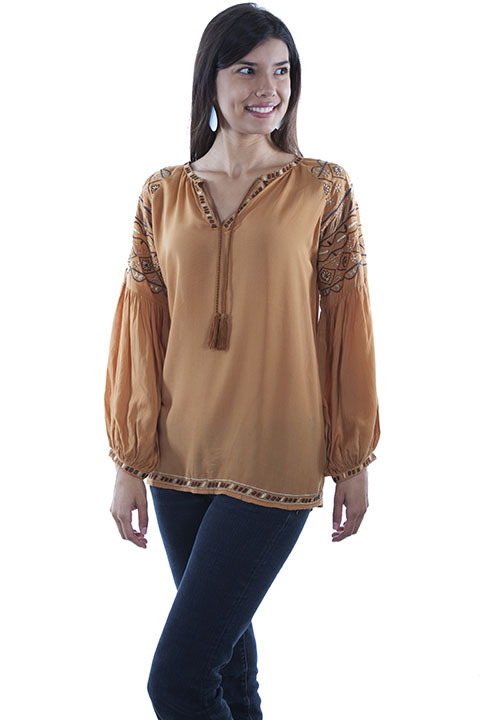 It features a split neck with long tassel tie. The neck, hemline and cuffs have an embroidered trim. Hand wash separately or dry clean..